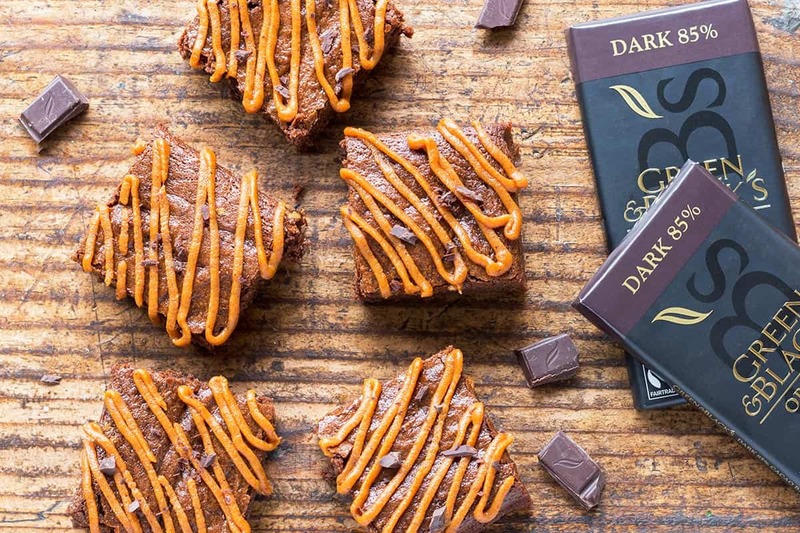 These healthy Chocolate Pumpkin Brownies are a perfect way to indulge in a fudgy, pumpkin-y fall treat all without refined flour or sugar. 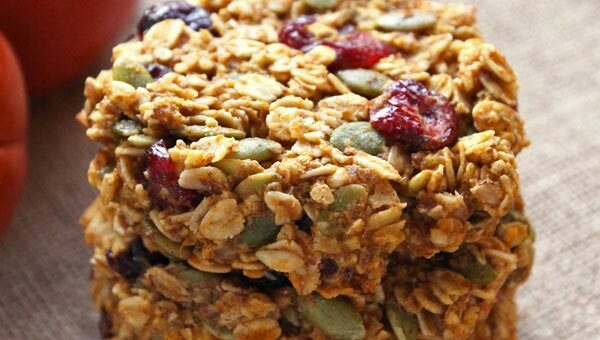 They are also a delicious Thanksgiving dessert alternative to pie. 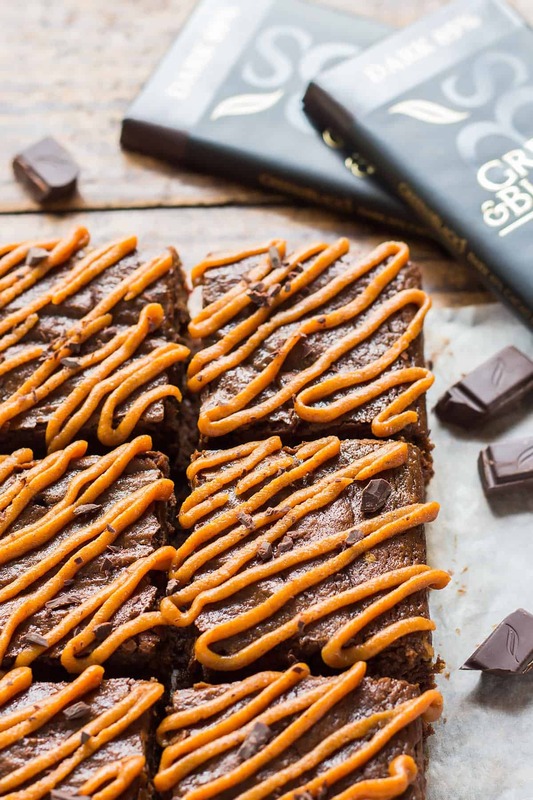 This recipe is sponsored by Green & Black’s Organic whose amazing chocolate bars are a dream for baking and snacking. Have I confessed to you yet that I am not a huge fan of pumpkin pie? This may come as a surprise considering all the many pumpkin recipes I have on this site. And it’s not the flavor at all – I LOVE everything pumpkin and pumpkin spice flavored. Rather I have problems with the texture. It seems like pumpkin pie just has so little of it. It’s all just smooth and creamy and that little bit of crunch from the crust just doesn’t give me enough contrast. And it’s not just limited to pumpkin pie. Any kind of uniformly textured cream pie and even cheesecakes are not high on my must-eat dessert list. But other than pie I am all about pumpkin – not even just in fall! I add it to smoothies, oatmeal, and sauces year round. And of course in baking! Pumpkin puree is a fantastic way to make super moist baked treats – like these moist chocolate brownies. 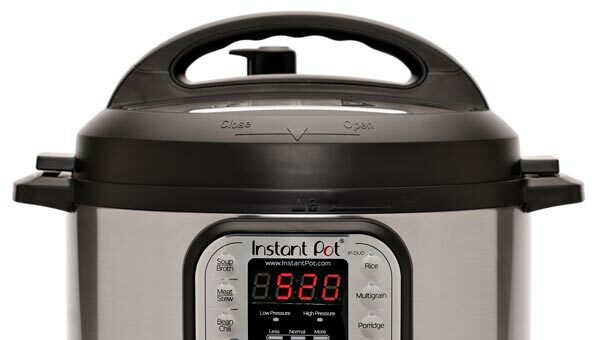 Furthermore, it can even be used to replace or at least decrease the amount of fat in many recipes. In today’s chocolate brownie recipe the pumpkin puree definitely contributes to the awesome fudginess. And another contributing factor is of course the high quality dark chocolate (I used 85%) from Green & Black’s. 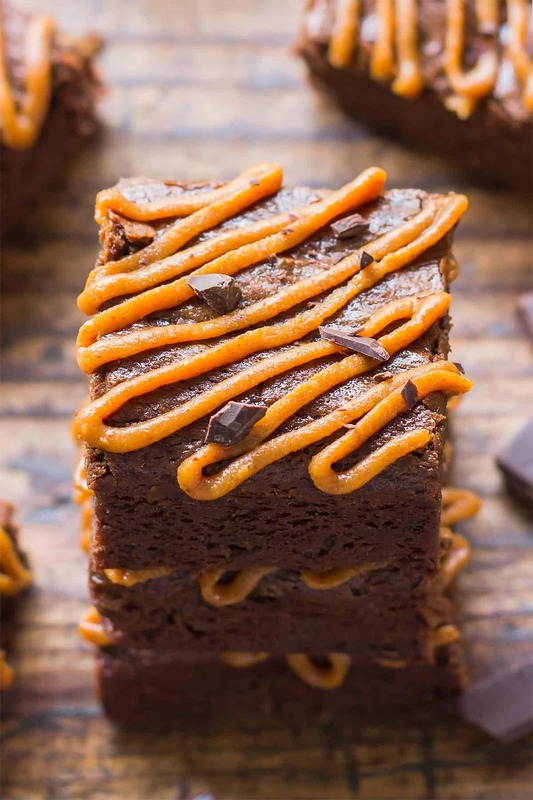 There are super easy pumpkin brownies recipes out there that use just a box of brownie mix and pumpkin puree. However this isn’t one of them because I like my pumpkin brownies healthy and from scratch. These are so worth the extra effort! First step is to melt the chocolate. I do this together with the butter (or coconut oil). This way the melting chocolate won’t scorch at the bottom and I won’t have to mess with a double boiler. Then, the pumpkin puree and sugar are added. I use muscovado (real brown sugar) but coconut sugar will also work well. Because the addition of these two cools the chocolate/butter mix down, when the eggs are added next they don’t get scrambled. Together with vanilla extract this already makes up all the wet ingredients. I whisked the flour together with baking powder, sea salt and of course pumpkin pie spice. Because if it has pumpkin, it needs the spice mix to go with it. Now, the dry ingredients are added to the wet and I am ready to bake the pumpkin brownie bars. 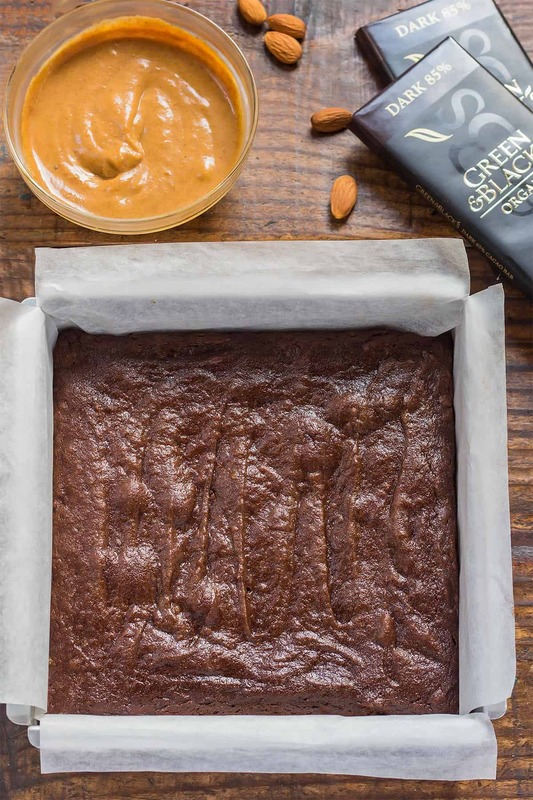 Lining the baking pan with parchment first makes it easy to lift out the pumpkin fudge brownies after baking. I used an 8-inch square pan for super thick brownie slices. You can also bake them in a 9×13-inch pan for thinner brownies. Just be sure to lower the baking time by a few minutes. With their fudgy, moist richness and the pumpkin spice flavors these could definitely also be called pumpkin pie brownies. And they are great to be enjoyed all on their own. 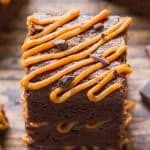 But if you want to take these pumpkin puree brownies up one notch – like say, when you want to make them Thanksgiving dinner worthy, you’ll also want to add this pumpkin almond brownie frosting. It is very simple to make. 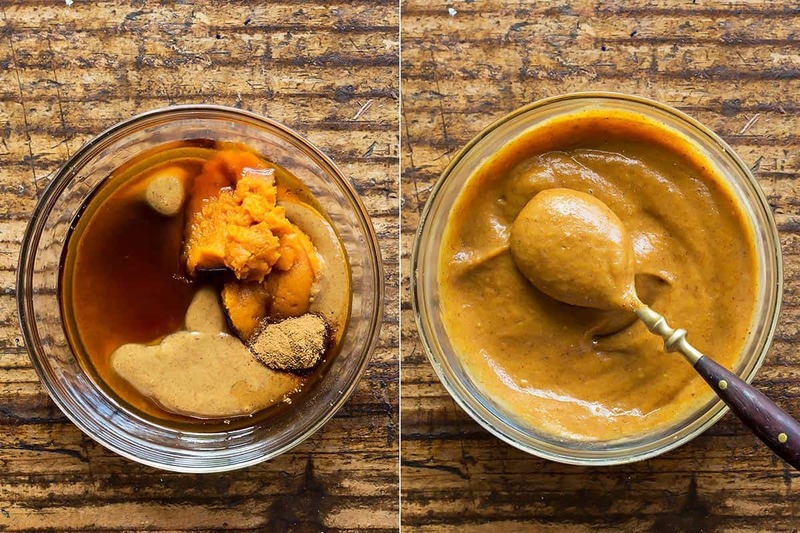 First, almond butter and pumpkin puree are stirred together, then sweetened with maple syrup and flavored with vanilla and pumpkin spice. A touch of milk to give the frosting its desired consistency. I kept it thicker to be able to pipe it on in swirls. You can also just spread the frosting over the brownies or make it thinner to simply drizzle over top. Finally, a sprinkle of just a little more chopped Green & Black’s chocolate and voila! Intensely chocolatey, moist and decadent pumpkin brownies that can definitely hold their place next to any pie on your Thanksgiving dessert table. 1-1/2 cups coconut sugar or unrefined sugar like muscovado, demerara, etc. Once melted, stir in sugar, pumpkin puree, eggs, and vanilla extract. For the frosting, stir together all ingredients in a small bowl. Add more milk to achieve desired consistency. Thicker frosting has to be spread or piped, while thinner icing can be drizzled. 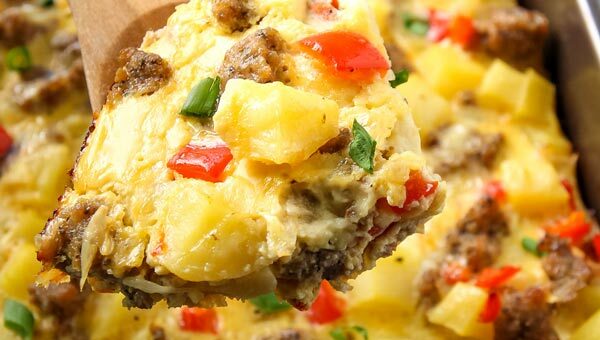 Can also be made in a 9x13-inch pan. Brownies will be thinner and require only 25-30 minutes baking time. We have nut allergies. Any substitutions for the almond butter that would be similar in taste and texture? I love a good brownie and these look delicious. The pumpkin almond butter frosting is a nice touch. Great for Thanksgiving. These look beautiful and the chocolate and pumpkin together sounds delicious! I love a good brownie! These look amazing! Regina, I’m in love with those brownies. The frosting looks so adorable. It lets me thinking of Halloweeeeen. Perfect recipe for all! Love the chocolate and pumkin combination! Can’t wait to try it! i’d never thought to use pumpkin for brownies! It’s such a great way to make them extra moist and fudgy! You had me at chocolate… and pumpkin… and brownie. Okay basically I don’t see how this could go wrong. Looks delicious and that icing sounds to die for. 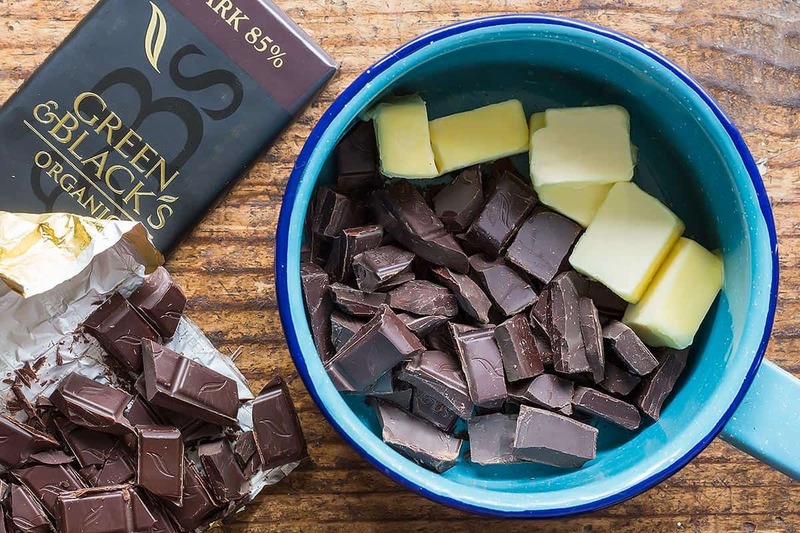 We are big fans of Green & Black’s chocolate, but they usually disappear before I get cook with them :-). These brownies must be absolutely delicious . 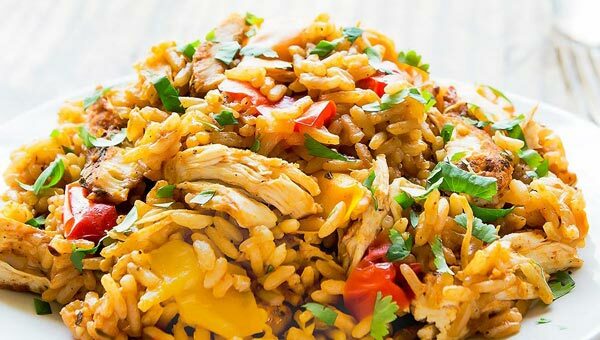 Recipes like this get me excited for fall! Can’t wait to try the pumpkin chocolate combo. What an absolute great brownie. Love that it’s chocolate/pumpkin and then that icing is so smart. Thanks! YUM! I wish one of these brownies was in front of me. They look delicious. Pinning for later. You have me at that pumpkin almond butter frosting! These look so autumny and irresistible! Yes! That frosting is amazing and really takes these brownies to the next level.